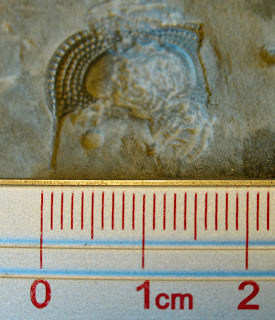 This image shows a Cryptolithus tessellatus fragment found years ago. 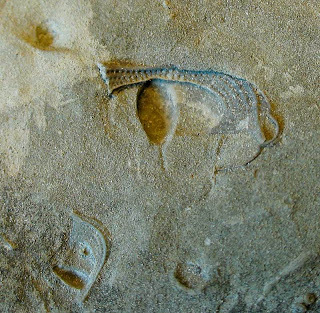 It existed in the Ordovician Period. The fossil plate was found in the Kope Formation of Carroll County, Kentucky. When cleaning fossils recently, it was in a box waiting to be finished. I will try and air abrasive clean it soon. The question is the tear drop center section intact. My cousin extracted some of the matrix with an air scribe but that area now needs to be excavated with the sand blaster. 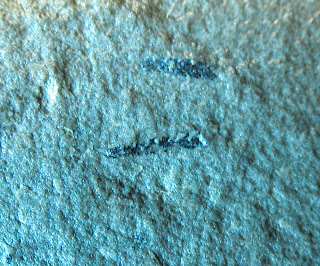 The plate this fossil is on has another Cryptolithus with part of the cephalon and an imprint of that center tear shape. 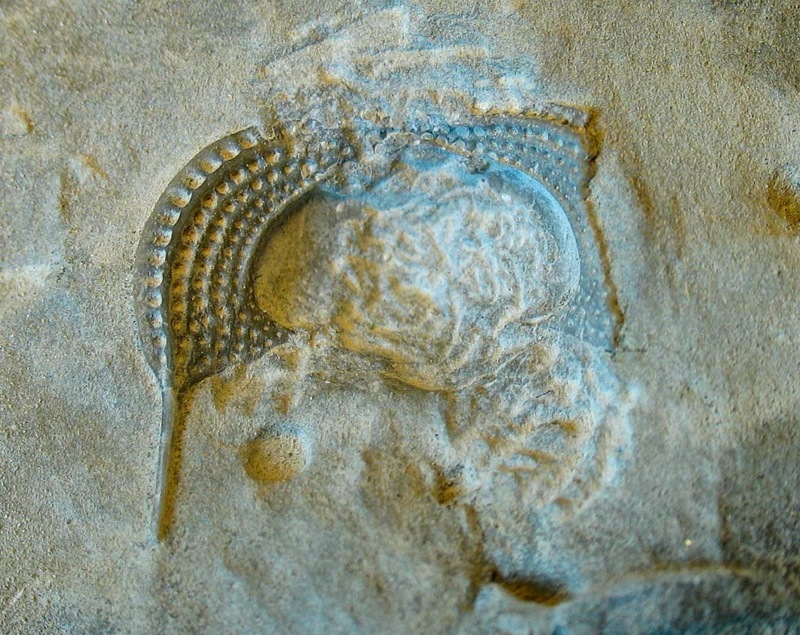 See my previous post about other trilobite fossils found at this locality. 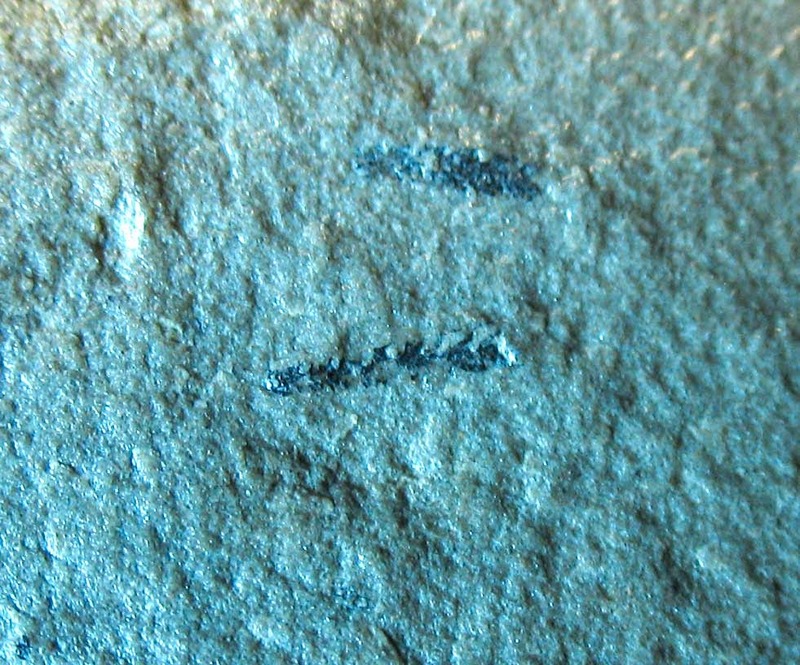 On the back of the plate are a number of graptolites (see picture above - photographed wet). 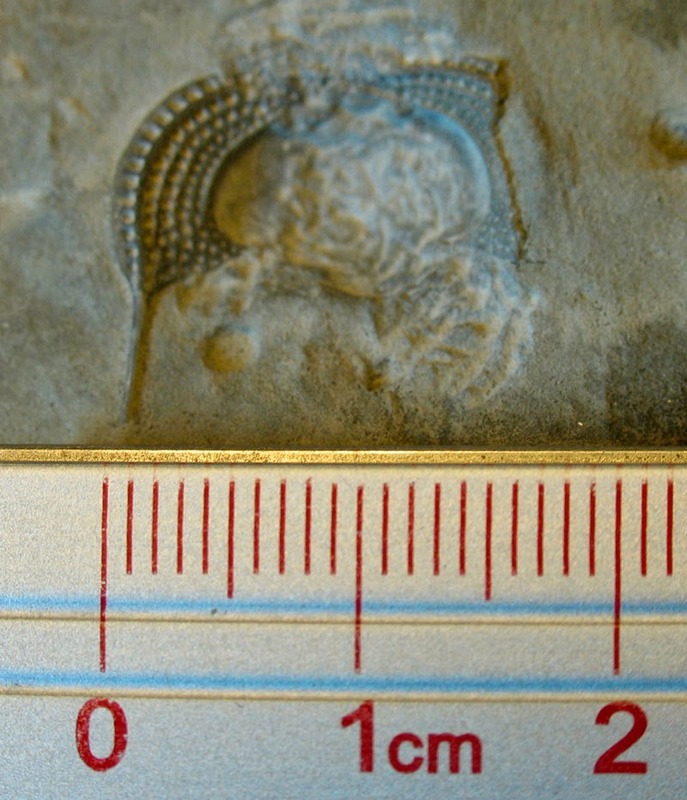 See images from previously found fossils in Carroll County at this blog posting.